I remember the excitement of getting a new box of crayons every year. I would carefully open the box and take a deep breath, savoring the waxy smell. And then, ever so gently, I’d rub my finger across the tightly pointed tips, appreciating their perfectness that I knew wouldn’t last. 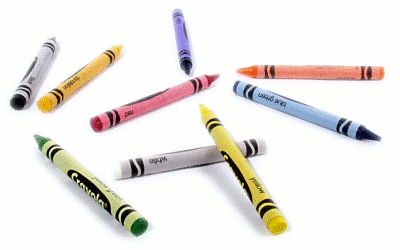 And the debate would begin, which crayon would I use first. It really was never much of a debate. Even though the silver and gold metallic crayons were tempting, I knew from the moment that box opened the first crayon I’d use was the green one. Not forest green or yellow green, just plain green. Not only was it my favorite color but a picture always started with the grass on the bottom. So I begin my new blog. It sits here freshly designed and ready for magnificence. (Well, maybe just something more than mediocrity). All new things hold that hope of something excellent and beautiful; new job, new relationships, new house, new day, new blog. Here’s to new things. I hope you’ll enjoy this site and join me as I continue to write. For those who have followed my other blogs let me explain a little about the this new one. You will notice that my last name is different. In honor of my Dad who passed away in January, I’m going to now write using my maiden name. Thus, Fara Linn Howell is still me, and has been me from the beginning. I will no longer be updating any of my old blogs. So be sure to follow me on this blog so you can get the updates when new things are posted. Some of the posts from the old blogs will be migrating and added to this blog. Please leave me your comments and feedback. I love to hear from people and I want to create a community about the two things that will drive this blog: “Putting on Love” as in Colossians 3:14 and “Crowing Hens” as in being a middle-aged woman with adult children, aging parents and all the fun that holds.